Zion Williamson had 18 and 12 and Duke won 84-54 on Wednesday night-which would have been impressive if they had not played Hartford Hawks (apparently a real college basketball team and not as a D-League franchise). As usual, there were powerful, high-grade dunks from the Blue Devil’s powerful beginner, like this hotboard from Williamson to R.J. Barrett. But much more extraordinary than any bone-rattling slam was a pair of screw-ups from Williamson as he rose above the rim. The first blown dunk came when he tried to make it home after a pass from Alex O’Connell, and ended up being filled. 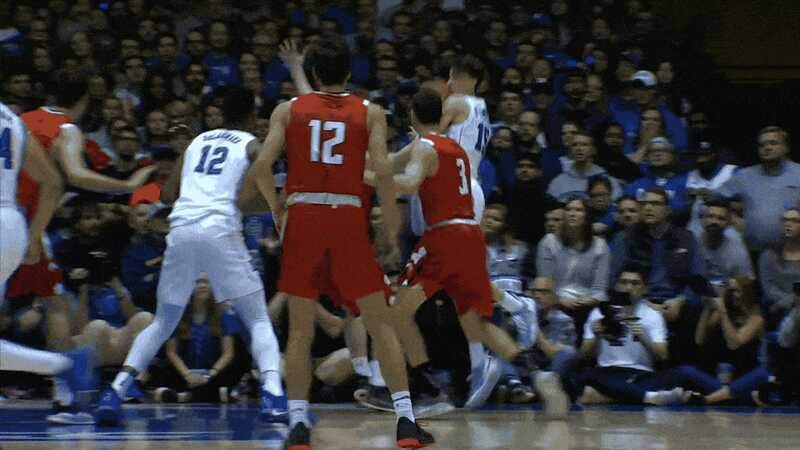 In the follow-up discussion, this in the second half, Williamson flushed in the color and then played it safely and used both hands for the trial. Still, he had no luck, as the ball refused to go down. It can be frustrating for Williamson, but this is very calming for me. This sign of weakness shows that Williamson’s ascension to a worldwide belief as the god of the humanity is a probability, not an inevitability.